I'm always taking photos to capture the moment, but I'm terrible at getting them printed or put into photo books. They always just remain on my computer, and then I always regret not doing anything with them. 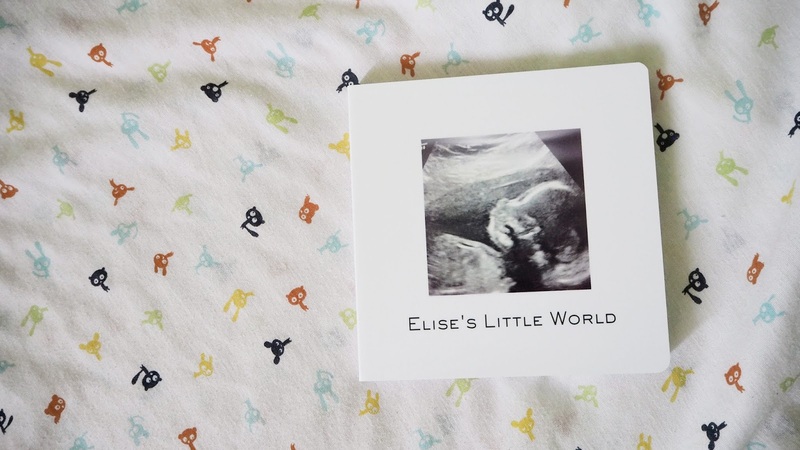 When Photobox got in contact to tell me all about their new product, designed especially for little ones, I knew that it was something that Elise would cherish for years to come. 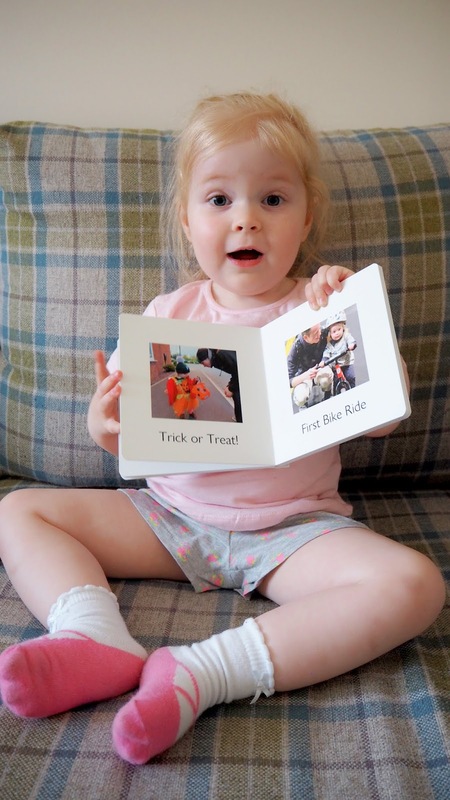 "My First Photo book" is a board book aimed at children under 3, and can be personalised with your own photos and words. I was so excited to make one for Elise, and she has been looking at it every day since it arrived. 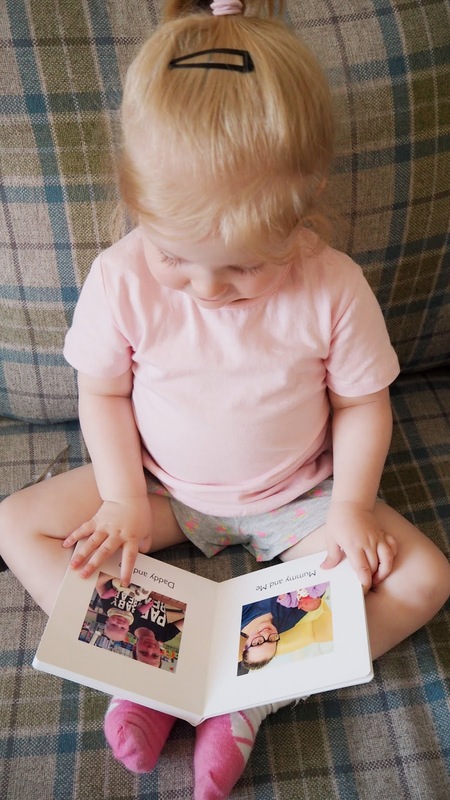 The board book comes with 16 super thick, wipe clean pages which can be personalised with photos, and even your own words. You can change the background colour of the pages, and there are also different layouts that you can select. We chose to use the same layout throughout, with a photo in the centre and a caption below. I wanted to make it so that as Elise gets older, she can learn to read the words in the book too. The process for adding photos and the captions is very simple and there is a great range of colours and fonts to use when it comes to adding your own words. There is also a great selection of layouts, ranging from filling a whole page to a central photo with text. You can even choose your very own title for the book. I love the fact that I could caption the photos as Elise loves asking what it says and describing what is in the photo. We opted to add photos of family members, as well as her favourite things and first experiences. She loved looking at photos from her first family holiday, and from her first Trick or Treat experience. It even jogged her memory and we have been sharing stories from our holidays since. It even led to us having to book to go to Butlin's again as Elise couldn't stop talking about it! The quality of the prints was great, and even when I used old photos from my iPhone 4, they looked great in the book. This was great as all of Elise's new born photos are just quick ones from our phone. As she was premature, we weren't really prepared for her arrival so just had to use what we had! I was also very surprised at just how thick the pages are of the book. Often board books can be quite thin and flimsy, but there is no way a toddler or baby could bend the pages of My First Photo Book. They are very thick and would withstand the dribble of a teething baby too. Plus it is wipe clean so you don't have to worry about your toddler adding their own artwork into the mix. My First Photo Book has an RRP of £14.95 but Photobox often have amazing offers on so it is worth checking the website regularly. I would happily pay the RRP for this book though, and we will be using our own money to purchase another one for Elise's third birthday. I actually think it would be a lovely product to make to fill with birthday memories, or those first Christmas memories. 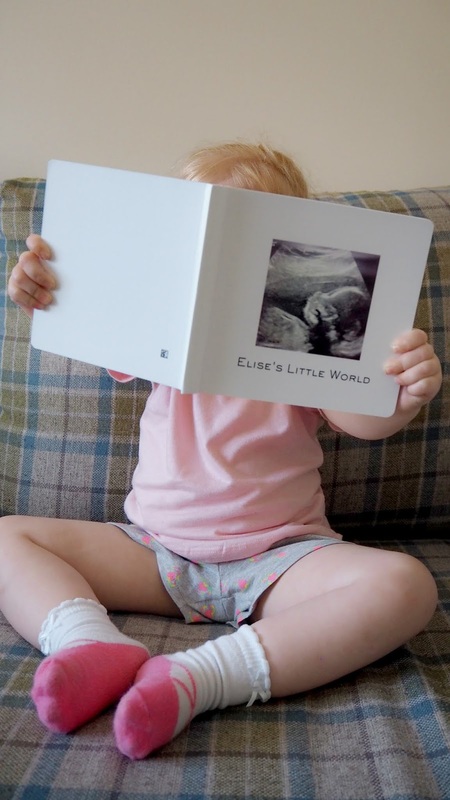 It's also something that siblings could also enjoy, and I know that Elise will enjoy showing her special book to other people. I think that you could also make a little story book out of this product too, which is great for Elise as she is at the age where she really enjoys creating little stories for her toys. Her role playing skills are great at the moment, and so creating a book full of memories, or her favourite characters would be a great conversation starter. As I said, I'm also looking forward to when Elise can read the captions herself! I also think this would be amazing for people who are in the process of adopting. This was my first thought when I saw the book. It would be a great way of familiarising them with their new family, and introducing their extended family too. Photobox specialises in personalised printing and serves over 6 millions customers each year. I have purchased their products as gifts in the past and every time the quality has been amazing. It is definitely my go to company when it comes to photo printing. I'd highly recommend this product, and it is always worth checking their site for their latest offers. They usually have an offer going on! If you don't want to miss out of discounts, and their newest products, you can follow Photobox on Twitter, Instagram and Facebook. Do you create photo books of your memories, or are you like me and leave them on your computer? Let me know in the comments or over on Twitter!